One thing at Vancouver City Hall can exert more force than big developer dollars. That thing is political fear. The next Vancouver municipal election lies only one summer plus one year into the future. 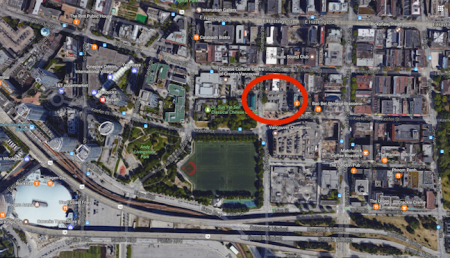 On the afternoon of 13 June 2017, political fear factored into the decisions of almost all of the eleven councillors who voted on the proposal to rezone the Beedie-owned parcel at 105 Keefer Street. Only Adriane Carr (Green) stands unbeholden to developer "donations." 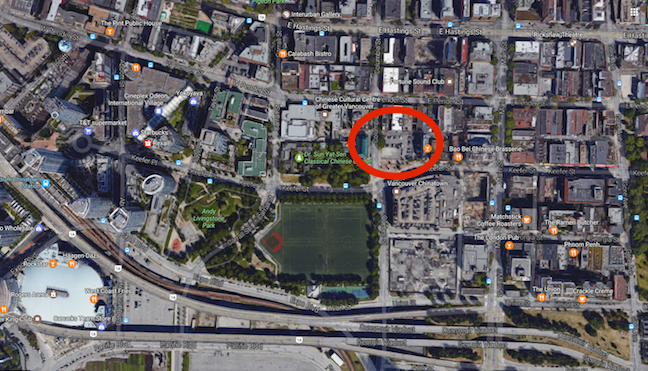 Eight nays swamped three yeas to kill the 105 Keefer rezoning. Both of the civic developer parties — Vision Vancouver and NPA — showed splits in this singular instance of a voting unshackled from rigid partisan discipline. It seems plausible that these proportions tracked an 80/20 split in the opinion of Vancouver residents concerned about the issues swirling around 105 Keefer Street. But that's not how the script played when each of the eleven on Council spoke ahead of the voting. Even as the political establishment was fracturing, it started off with a projection of balance and deliberation. 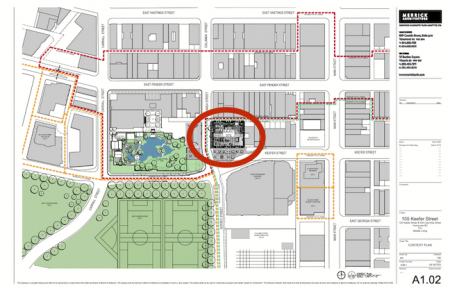 The first five speakers represented the dominating Vision Vancouver wing of the developer-owned Council. First-on-queue Kerry Jang set a tone by invoking his sense of a community that was split 50/50 on the issue. Professor Jang thus chose to disregard the significant hard data for a 71% level of opposition expressed by those who wrote to and spoke to Council [via Andy Yan: Letters: 431/121 and Speakers: 150/46]. Second-on-queue Raymond Louie, the only other Chinese councillor, offset Jang's announced "nay" with his own announced "yea." This felt like a tightly scripted embodiment of 50/50, designed to serve both the dramatics of difficult decision and to convey tacit reassurance to developer masters that this outlier lost cause will not herald a new order. Only as Jang began to elaborate on four "reasons" did it become clear — well into his allotted speaking time — that he would declare a "nay." At the outset, an adroit mumble masked the direction that he was taking. Jang also provided unintentional comic relief with an account of his epiphany "last week," inspired by being in Hong Kong, that 105 Keefer might be "too tall." Louie countered with a boring plod: "I will not vote against social housing." Next up? Geoff Meggs. Almost always taciturn and terse, Meggs scrutinized a massive handheld manuscript, reading out every word. So massive was the screed that Gregor Robertson as chair had to intervene and ask him to "wrap up." Nay number two. Fifth. Tim Stevenson. Nay. His recall of comparable previous public hearing contention could only dredge up the 2011 Edgewater Casino proposal. He replayed a version of his youth vs seniors broken record. Sixth. Adriane Carr. Nay. Typically incisive, Carr was the only councillor to mention that the purported amenity for seniors offered no "long-term security" for continued existence of the space. She also deplored the 105 Keefer process as "no civil way to plan a socially cohesive city." Later reportback from downstairs overflow identified Carr's speaking time as the point where red T-shirt "supporters" departed en masse for their bussing back to Richmond. Seventh. George Affleck. Nay. Affleck relished his place in the speaker line-up. As the sixth and decisive "nay," he used the occasion to taunt his alter-ego party about its routine bloc voting. The later speakers knew that whatever they had to say would be superfluous to the outcome of the vote. Therefore anticlimactic. Eighth. Melissa De Genova. Yea. / Ninth. Andrea Reimer. Nay. / Tenth. Elizabeth Ball. Yea. / Eleventh. Gregor Robertson. Nay. One amusing contrast emerged from two takes on the condition of Chinatown. De Genova: It hasn't changed here in Vancouver." Robertson: "A lot has changed over the past 6½ years." One odd retort got lobbed by Reimer back to Affleck. She offered her vote against an item "this morning" as evidence to counter Affleck's taunt. A look at Council agenda shows that the only possibility for such a vote appears to relate to this item: 1. TEXT AMENDMENT: 1101 West Waterfront Road (1199 West Cordova Street). A careful review of Council video might clarify this bit of weirdness. Probably not. The rejection of the 105 Keefer rezoning proposal seems likely to result in a rapid Beedie reapplication under outright zoning for a 90-foot building. Such a process is not subject to public hearing, and offers minimal scope for public input on the development application. The purported "amenities" amounted only to a dubious social housing component ($7.3 M of public money laundered through the developer) and seniors space of 1239 sq ft (gross not net), to be available at undetermined charge, and only assured for a ten year period. 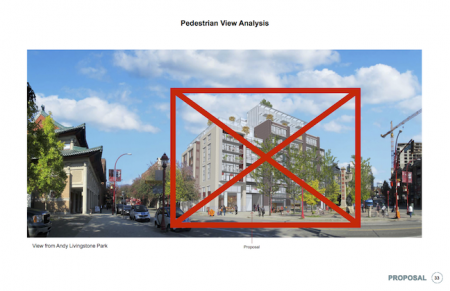 Jang recognized that the $7.3 M would not disappear with the rezoning rejection, but merely relocate. Quite a few councillors — at least five of them — jumped on the Jang bandwagon to excoriate rambunctious youth for instances of unacceptable disrespect. Jang's lead-off leaned heavily on cultural guilt-tripping, an approach which ultimately seems to resolve into insider racist practice. Online observation of much of the proceedings, including the specifically cited Grant instance, and supplemented by 45 minutes of direct Monday observation from balcony, shows no basis for such a strong degree or extent of reactivism among councillors. Compared to many other sessions witnessed at City Hall since 2005, the level of disruption was mild, even innocuous. Then why the heavy-handed outrage? First of all, displacement and diversion and revenge. The ten developer-party councillors finally found themselves forced to gore themselves on the horns of a dilemma. Wounded, they lashed out at the most acceptable target, and the most vulnerable. Second, deep fear. This fear manifested especially in repeated councillor attempts to drive a wedge between highly interactive youth and seniors. As Yuly Chan perceptively observed, the real divide was class. The establishment gets edgy at any manifestation of persistence, solidarity, zeal meshed with experience, and amalgamation of resistance — especially if these qualities start to combine. This is the scariest thing has has happened yet to bloc-voters in the present City Council, and likewise to the developer interests that they represent. Plus 2018 is an election year. Third, broken pattern. One rupture sets a precedent and generates an energy. Possibility is opened up for more of the same. Success in resistance breeds further resistance. Machines need their oil, and to make sure that no gear loses a tooth. Simply put, big money will go to extreme lengths to eliminate uncertainty. It seems plausible that one-quarter to one-third of potential Vancouver voters might swing on the one issue of what happens to 105 Keefer and to the Chinatown area. This is political dynamite. Obviously the three "yea" voters — Ball, De Genova, Louie — have speculated that they can afford to run this particular risk. Or perhaps they have unannounced plans not to run for office again. Personal Note: I did not anticipate writing this story. I fell into it, and it insisted on being told. In many respects, this account is a sequel to another day of high drama, Vision Vancouver Hits the Panic Button. On 20 January 2011 councillors took the first step toward carving Chinatown out of its larger local area so that developers could be unleashed faster onto the profit potentials of a subarea perceived as ripe for redevelopment. My direct involvement with Chinatown issues goes back to participation in a workshop for the now distant Historic Area Height Review.